What SEO Specialism Should My Agency Focus On? Most people tend to lump SEO together, however, as a marketing tactic, search engine optimisation can be broken out into further subdivisions and this can make it difficult for business owners and marketing managers to understand. Just as you’ll appreciate there are differences between a freelance SEO, SEO consultancies and SEO Agencies, the same is true between SEO agencies. No SEO agency is born equally. What’s The Difference Between An SEO Agency & An SEO Consultant? So you probably want to get more traffic to your website and increasing your rankings in Google is going to be one of the first places to start. If your business has been around for virtually any length of time, it’s more than likely that you already have some kind of website and that website probably already has had some search engine optimisation carried out on it and perhaps had some offsite work carried out as well. The thing is you’re going to want an expert in search engine optimisation to work on your website if you really want it to rank effectively and generate traffic through search. Who Are The Leading SEOs In The UK In 2018? It’s been quite a while since I’ve created a top SEOs blog post, but I consistently get SEO orientated digital marketers reaching out to me to see if they could be included in one of my top SEO lists. So you have been running your small or medium business for a year or so and you’re doing well. Maybe you have a bit of money in the bank and want to branch out? Or perhaps you don’t have as much money in the bank and want to grow your client base. Possibly you have just hit that sweet spot of fluency and are craving that challenge and friction entrepreneurs thrive off. Whatever your reasons, you know it is time to grow your business. Right? Us GrowTraffic folks are SEO consultants, which means we have helped our fair share of businesses grow online (and offline-we can’t help ourselves, we’re passionate!). We have put out heads together and come up with the 5 most important first steps to take when deciding how to grow your business. At the beginning of December, I wrote a little blog post about Google and the Law of Unintended Consequences, a phenomena of which Google seem to be particularly susceptible to. I did promise you a Part 2 to that Part 1 however and, as I am a woman of my word, voila! In Part 1, I discussed the fact that a lot of Google’s algorithm updates/changes – whilst they do deal with certain issues and advance Google’s goal of providing the searcher with the best search results – nevertheless have unintended consequences, which themselves affect the practicalities of search marketing and the implementation of SEO. 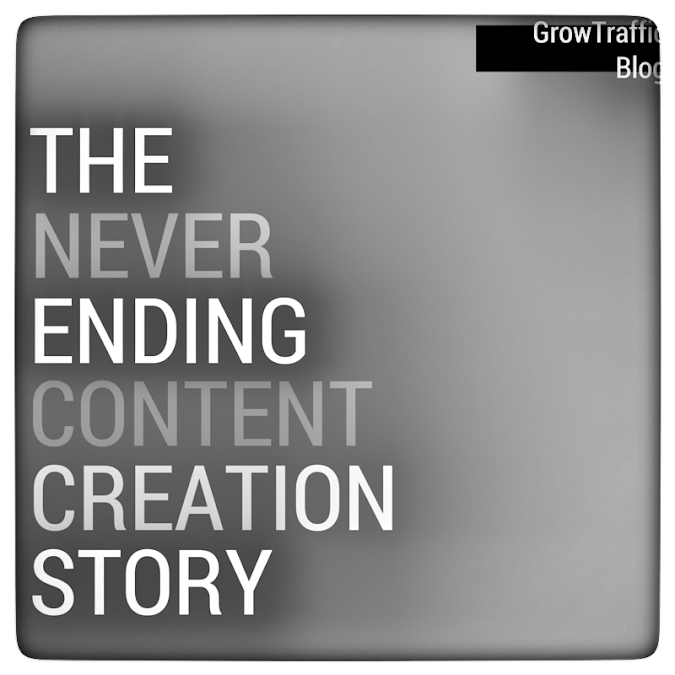 One such unintended consequence that has far reaching implications and has greatly shaped the world of SEO lately is the formation of the ever hungry content creation machine. In fact, this is possibly the one biggest factor that rules my life as a Freelance SEO Copywriter; it is both the blessing that acquires work to keep me writing and the curse that chains me to this never ending treadmill of having to constantly create new and interesting online content. The biggest aspect of SEO now is content creation and it is the one universal piece of advice that we give to every client, no exceptions. Basically, if you want your website to rank highly in the SERPs, whatever your field or business sector, you can no longer just build a lovely shiny new website and then leave it static. Oh no, in this crazy world we currently inhabit, to a greater or lesser degree, you have to regularly generate new, original content and upload it to your site.